I am setting aside this page for my video tips. I hope that they will be helpful. I will be adding them one at a time as I develop my designs, so check back often. This is by no means a complete tutorial on double knitting. 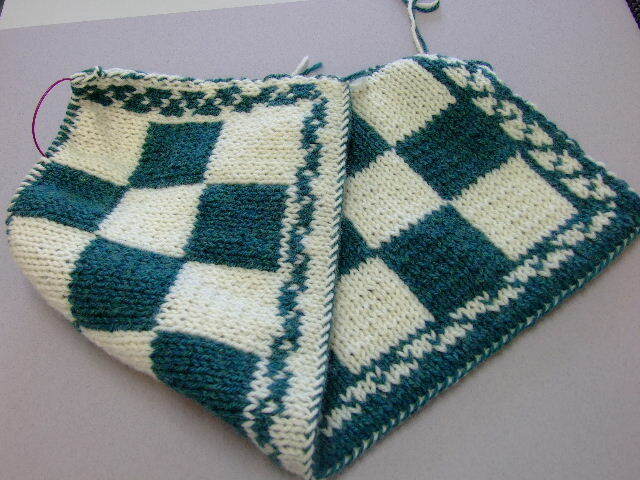 Be sure to check out the double knitting tutorials on YouTube. There are also some knitting books on it, too. Don’t be afraid to try all the methods till you find one that is comfortable for you. Below is the video I promised for those of you who wanted to see me “Knitting Backwards/ Reverse continental” with the method described in my tutorial by the same name. I hope it helps.